Heading towards river Tiber, Aeneas sailed pass Mount Circeo that was originally an island, the island of Circe (Aen. 7.5-25). If you are here it is because you are looking for something more than a simple description of Aeneas’ vicissitudes as skilfully narrated by Vergil in the Aeneid. The posts of this page aim at offering you something very different. An imaginary journey through some of the most amazing and exciting archaeological sites of Italy, looking at the places where the myth of Aeneas got rooted and thrived. A journey at the very origins of Roman civilisation. A travel back to the heart of one of the founding myths of Rome. An imaginary journey that can, however be used as a travel guide to organise your own trip across Central Italy. Alongside historical and archaeological information, the posts of this page will also provide you with suggestions and ideas about how to plan your travel. Follow my weekly posts, grab your map of Italy and start your journey. Real or imaginary, it will lead you off the main tourist paths, to the origins of one of the most amazing civilisations of the ancient Mediterranean. 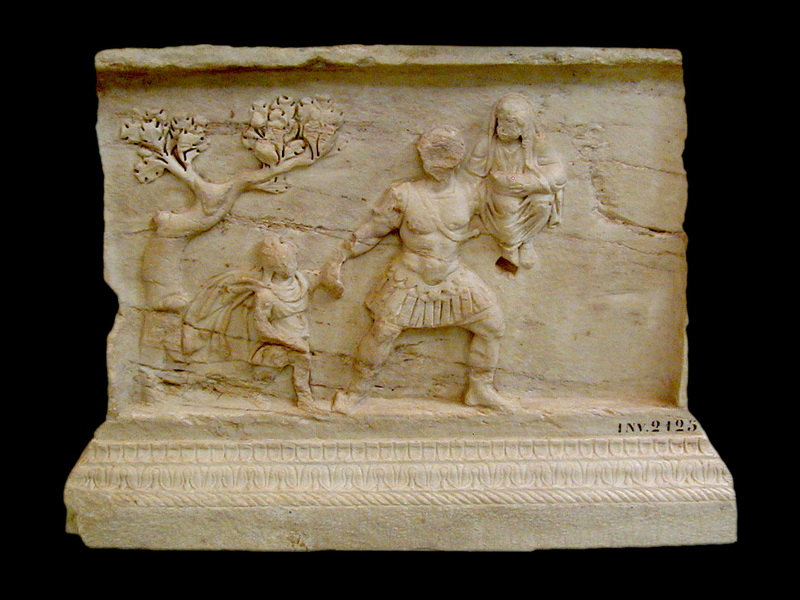 Aeneas carrying his father Anchises and his son Ascanius away from Troy. Altar of the gens Augusta commissioned by P. Perelius Hedulus. From Carthage. Augustan age. Tunis, Musée National du Bardo. Inv. no. 2125. Good luck with your project! Thanks for following mine! I’ll enjoy following your blog. Thanks for peeking at my brand new one. It’s barely a blog, but I hope to get it up to speed with profile, photos and so on. A step at a time.